The Samsung Gear S2 is one of the best examples of “wearable” tech for Samsung and for the general smartwatch market. The Gear S2 has a lot of features that focus on health monitoring, health data storage and retrieval, and analysis of historical health data. Part of the S Health general app is the ability to monitor your heart rate on the Samsung Gear S2. Using the heart rate sensor at the back of your device, you can monitor your heart rate on the Gear S2. If you are interested in learning more about the feature, then read on. Disclaimer: The Gear S2 is not a medical device and should never be used as one. Though the device is calibrated to be closely accurate, the Gear S2 is not intended as a replacement for medical devices or services. The smartwatch can help you monitor your general health. However, you should see a doctor if the Gear S2 detects any health abnormality. 1.Go to the Gear S2’s watch screen by pressing on the Home button at the lower-right part of the phone’s side. 2.From the Gear S2’s watch screen, open the S Health icon (the icon with a silhouette of a running woman). 3.Get to the Heart rate screen by rotating your Gear S2’s bezel. 4.Tap on the Heart rate icon to initiate heart rate reading. 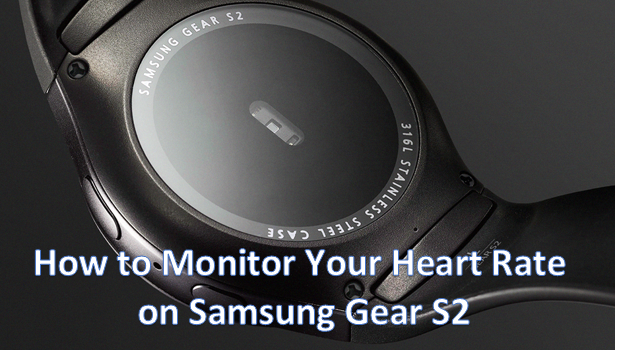 5.Your Gear S2’s sensors should start detecting your heart rate. This may go on for a few seconds. 6.Choose your current physical state by tapping on the appropriate activity. 7.Your heart rate will be displayed and a comment on your heart rate status will be shown. You have just learned how to use the heart rate sensor of your Gear S2. If you have more questions about this tutorial, drop a message in the comments section so that we can get back to you.